The MegaLic® Beef Program meets the challenges of today’s beef producer head on. Issues like feed efficiency, animal performance and reproductive performance have a major impact on a producer’s profitability. MegaLic Supplements are Nutrient Rich to address these issues and help producers become more efficient and profitable. From lush green grasses to winter grazing, NR-22% and NR-30% can help your herd get the most out of a wide range of forages. (See feeding applications chart below.) These supplements are fortified with high levels of essential vitamins and minerals to enhance forage utilization and reproductive performance. StressLic® is specially formulated to assist cattle during times of stress, reproduction and weaning. StressLic is also recommended for sick pens or pulls. 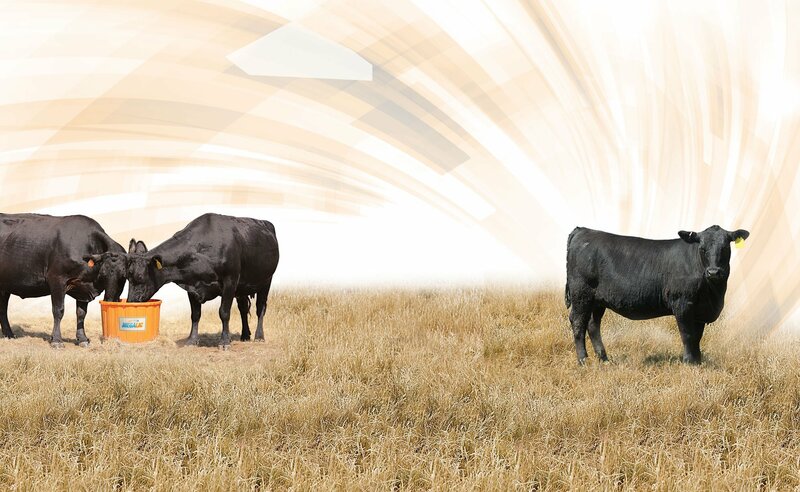 See our MegaLic product recommendations for each of the following beef cattle feeding applications.